The Faraut's third book offers a thorough line of attack to the complex subject of the human figure. 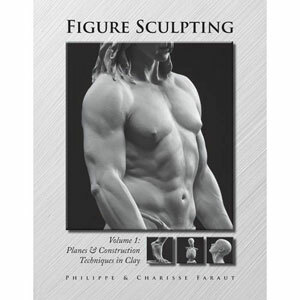 Through photos and illustrations, this work provides a series of exercises for modeling the head, torso, arms,hands, legs, feet and full figure. The reader will learn the anatomy specifically relevant to the 3D artist. Both traditional clay and digital sculptors will discover information on structure, planes, balance and the subtle details required to master this art form. Over 700 photos and illustrations. 230 pages.